I’m not a fan of insects. When I was little, I would tirelessly chase every mosquito unfortunate enough to enter my bedroom and, like my father with his big tea towel, exterminate them all one by one, leaving thin traces of blood on the walls and ceilings. At the dinner table, I would cry out in terror whenever a wasp came near. “Kill it! Kill it!” I would scream at whoever was around who happened to be braver than me, usually my mother, who would put an end to the crisis with her fork. Then I grew up, learned a little about biology and animal behaviour, and developed an extreme sense empathy. So extreme, in fact, that I still haven’t got over having to decimate the nest of some flour moths who set up home at my place last year. In 2012, I went to the cinema to see the Markus Imhoof documentary “More Than Honey” and came away profoundly shocked. Like everyone else, I had heard that bees were under threat and that that could have enormous repercussions on human beings, but I still saw enough of them flying about every summer to dispel any notion that, one day, they might actually disappear for good. 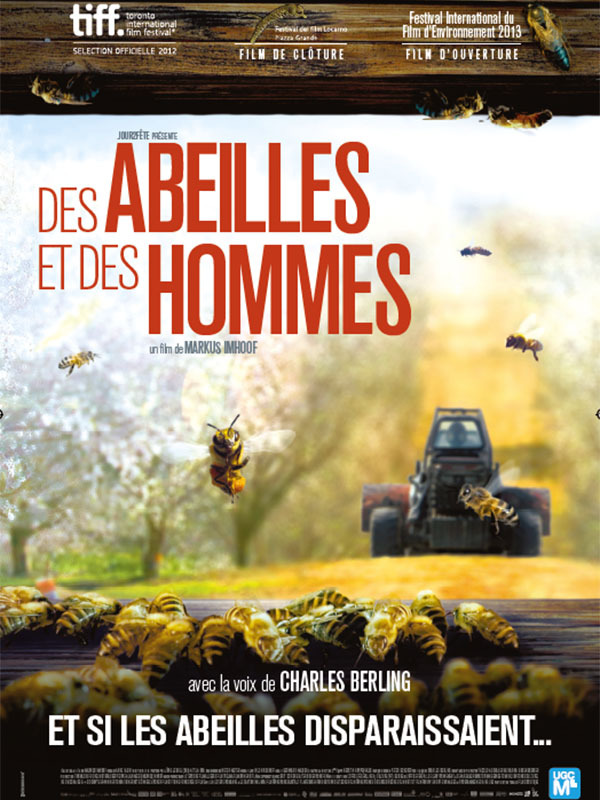 The film talked about the horrendous conditions in which some beekeepers transported their bees thousands of miles across the United States, pumping them full of antibiotics and exposing them to pesticides. It showed whole colonies dying from an unknown affliction and even made the staggering revelation that in some parts of the world, bees had already become extinct, forcing humans to pollinate their flowers themselves by hand. The movie made a huge impression on me. I wanted everyone to see it and to experience the same indignation and fear that I did. I wanted everyone to feel disgust, anger and contempt for those who mistreated bees and cruelly exploited their hard labour. Once they had learned how bees operated, how they interacted and how they organised themselves, surely no one could fail to be moved by their plight? Wrong. Some, it seems, couldn’t care less about the situation. From then on, I just couldn’t look at the pots of honey stacked on the supermarket shelves in the same way anymore. Behind the enticing golden liquid, I couldn’t help but see millions of bees drowning in all kinds of chemicals, infested with God knows what diseases, traumatised by the dubious practices of modern honey farming. I was ashamed of humanity. And I was even more ashamed of myself, for never asking myself the right questions. 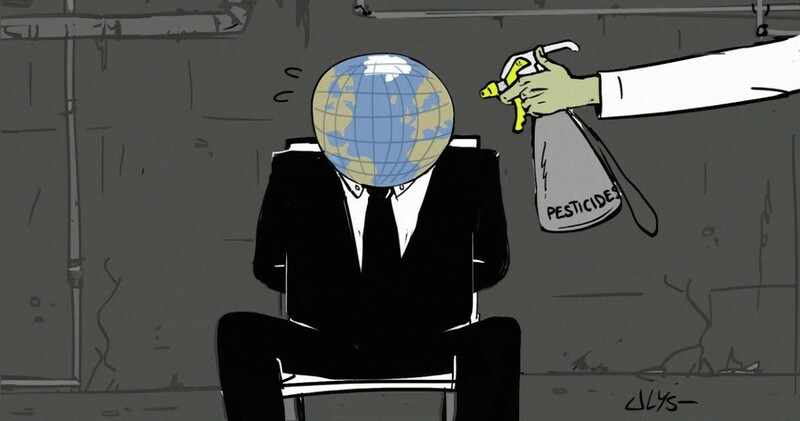 Were we instinctively so stupid as to actively encourage the extinction of living species, while simultaneously allowing ourselves to be poisoned, and paying for the privilege?! 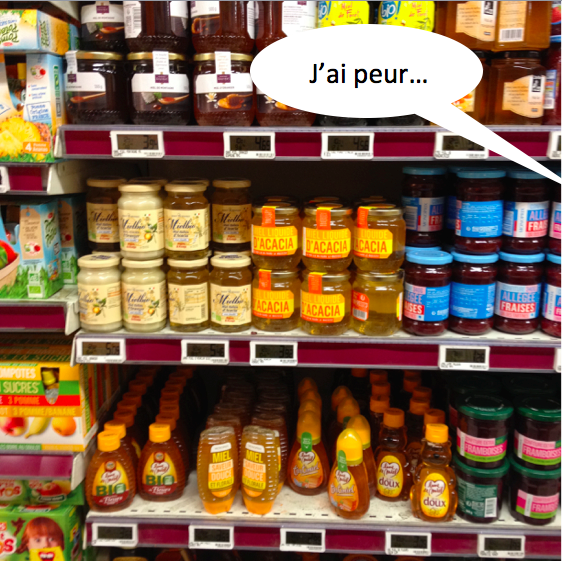 JJ: French legislation on honey is probably the strictest in Europe. Like many other food products, honeys can contain traces of foreign matter, but only traces. You have to remember that bees are, to give them their proper name, “animal sentinels”. They feed exclusively on what they produce themselves, so they are particularly punctilious about the quality of their honey (…). Bees are natural filters. In addition, commercially produced honeys are analysed before they hit the shelves. If they contained too many harmful products, they would be banned from sale. As far as “local” honeys produced and sold by small-scale local beekeepers are concerned, I buy them regularly for my own personal consumption, and I do so without any fears for my health. If I were to take a pot or two of honey from your shop at random and get them analysed, would I find traces of antibiotics? Or traces of pesticides? JJ: For around twelve years, we have been exporting our honeys to Japan, among other places. Japan is extremely meticulous when it comes to food safety, and we have never had a product rejected by the Japanese health authorities. There may be traces, but traces don’t automatically mean harmful effects. There’s a difference between the common perception of the word “trace” and the meaning of that word in chemistry, health and medicine. For scientists, a trace means an insignificant quantity; for the consumer, a trace is a worrying amount of suspicious substance. It’s a short step away from poisoning. What do the beekeepers say? JJ: I’m a beekeeper, I have had responsibility for keeping bees and I run a business entirely dedicated to bee-related products. So over the years I have worked alongside a few people involved in the industry. They all complain about the excessive and unrestrained use of plant protection products: excessive because of the quantities used, and unrestrained because these products are applied outside of the designated treatment periods. As a reseller, how do you control the quality of the products you stock in your store? JJ: Each batch of honey comes with an analysis containing the results of a whole raft of tests. Those tests are performed by the beekeeper or the distributor, who are often one and the same person. We sometimes analyse batches ourselves to double-check them. To get a second opinion, I also asked Alexis and Maylis, two amateur beekeepers I know, what they thought of all this. They don’t make their living from the business, so would they be any more alarmist? Have you ever had to put your bees on antibiotics? Is it true what many people say, that all domestic bees are on antibiotics? A+M: Of course not. We don’t use any products to strengthen or treat our bees. But because of the serious damage done by a parasite, varroa, all beekeepers have to treat their hives once a year, in the autumn. That treatment consists either of formic acid, or of medically controlled substances – amitraze or thymol – prescribed by a vet according to the number of hives. Because the bees will not produce any honey during that period or for 6 months afterwards, there is little chance of contamination. In Europe, using antibiotics in bee colonies is banned. However, the survey concerned honeys available in supermarkets, not those purchased directly from producers, and only five of them were of French origin. Importing honey raises issues about the regulations applicable in the country of origin as well as the quality controls carried out on imports. The United States and Mexico are singled out for criticism in various studies. The use of fortifiers in bee feeding sugar causes traces of sulfonamides, tetracyclines and streptomycins to appear in their honey. (Editor’s note: It was about time President Obama waded into the debate. A+M: French or European honey from small-scale producers, with no imported honey added, is likely to contain little or no contamination. But you need to be wary of large-scale producers that employ intensive farming methods and treat their hives with anti-mite products and other substances… and of small-scale producers too, as they may contaminate their hives by using home-made products or make dosage errors that can contaminate the honey. We’ve got a friend who makes honey on Mont Saint-Clair in Sète in the Languedoc-Roussillon region (southern France): he claims it’s pure and untreated, and he’s most probably right. But this year, at the end of the winter, he lost two hives. All the bees were dead at the entrance, and yet there was no varroa in the colonies. Perhaps a neighbour had treated his garden and contaminated all the flowers in his garden and all the fruit trees in the garden next door? So honeys from France and other European countries, it seems, are not “poison”, which is something. 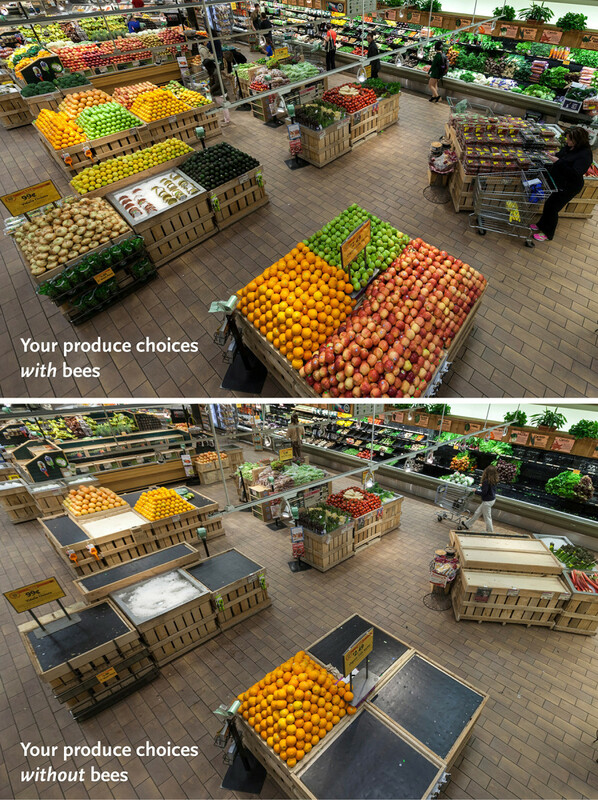 But the real travesty here is that bees are disappearing, and that is an incontrovertible fact. Domestic and wild specimens alike are plagued by an unknown affliction. Stranger yet, entire colonies are vanishing without leaving a single cadaver behind. Among domestic bees, mortality rates are close to 30% every year, while queens are living half as long as they did in the 1980s. We are facing a phenomenon known as Colony Collapse Disorder (CCD). CCD has been spreading in Europe and Asia for the last fifty years, without any indication of what is causing it, but as far as the scientific community is concerned, the real explosion came in 2006, after 25% of the North American bee population was wiped out in a single winter. Everyone had their theory as to the possible cause, some even suggesting it was the work of aliens, but the blame was then laid at the door of tenacious parasites such as varroa and new predators such as the Asian predatory wasp. More generally, beekeepers are united in condemning the introduction of a new kind of pesticides. Neonicotinoids first went on sale in 1995. They are powerful, extremely toxic, and act directly on insects’ nervous system, disturbing bees’ sense of direction so that they end up disoriented and lost far away from their hives. In 2013, nearly 20 year later, the European Commission finally took the matter seriously, suspending the sale of three neonicotinoids for two years on the basis of EFSA studies. How did that 2-year ban go? – There will be a ban on the use of plant protection products by the State, local authorities and public organisations for maintaining green spaces, walks and forests. – The sale and possession of plant protection products for non-professional use will be banned from January 1, 2022, to give industrial operators time to adapt. This measure is aimed particularly at amateur gardeners. Two months later – just a few days ago, in fact, on May 22, 2015 – France’s Minister for the Environment, Sustainable Development and Energy, Ségolène Royal, launched an initiative as part of Biodiversity Day. 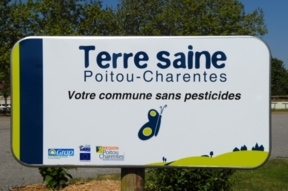 Entitled “Terre Saine, communes sans pesticides” [Healthy Earth, communes without pesticides], her plan was designed to gradually make the whole of France a pesticide-free zone. (one butterfly, two butterflies, three butterflies… it’s not quite clear how it all works, but that’s a debate for another time). What does the Minister mean by “commit to”? Is it a moral contract or a real, binding obligation? I have asked Ms Royal that question, but I have still not got an answer (I’ll be sure to update this article if ever I do). – Parks, gardens and forests on government land will be pesticide-free! VICTORY! – So will private gardens! VICTORY! which accounts for a mere 53.2% of the country. Will a press release be issued to bees to advise them to frequent only private gardens and urban parks? So, a challenge awaits: we are going to have to find some French roads that don’t run alongside farmland, or our pollinating pals will end up sucking up just as many pesticides as before. Hmm… Could be tricky. Very tricky. There are plainly good intentions at work here, but they seem to be hampered by a desire not to upset anyone. What are we afraid of? Could it be certain farmers? The ones who grumble that organic farming is still too expensive and that they have to treat their land to make it profitable? Is organic farming really more expensive? These days, the difference is pretty minimal. So what is stopping farmers from embracing organic methods? Perhaps there is a genuinely good reason, but no one seems willing to give it. Signing petitions and talking about it at dinner parties with friends is all well and good. It’s a start. But I needed to find out more. During the Nuit du Miel [Honey Night], an event organised by the Fondation Cartier, I got hold of a copy of biologist Rachel Carson’s “Silent Spring”, a book written in 1962 but still considered as a key reference work for the environmental movement. I wanted to understand why – through what unexplained magic – certain dangerous and exasperating methods were still commonly used, with consumers and governmental authorities seemingly remaining unperturbed. As I read the writings of the illustrious biologist, it was easy to forget that the time she was writing about was nearly 55 years ago. Her vision of human beings, the economy and life was so modern that I could see why the book frightened the American government so much when it first came out in 1962. At the time, DDT, a chemical recognised for its insect-killing properties, was used on a massive scale. World War II soldiers were smeared with the stuff to ward off lice and other illnesses that might be transmitted by insects or pests and, since no side effects appeared immediately, it was assumed that the product was not harmful. Well, that was not quite accurate. Rachel Carson was adamant: DDT was carcinogenic and while the catastrophic effects of this highly toxic product might not be apparent immediately, they certainly would be a few decades later. Unfortunately, time proved her right. The UK, for example, only banned it in 1984! So why? How? To what extent are governments to blame? Who knew? Who allowed it to happen? How can economic prosperity be given top priority even at the expense of knowingly poisoning the population over several generations?! Dan Glickman served as US Secretary of Agriculture under Bill Clinton from 1995 to 2000. In the documentary “The World According to Monsanto”, he recounts how he came under considerable pressure from the industry and the US government and that, with hindsight, he regrets not having been demanding enough when it came to testing GM foods. Could the same thing happen in France? Is it really possible for a Minister for the Environment or Minister for Agriculture to do their job properly? On Friday, March 27, 2015, I discovered that the Netherlands had just banned Monsanto pesticides and were encouraging other European countries to follow suit. 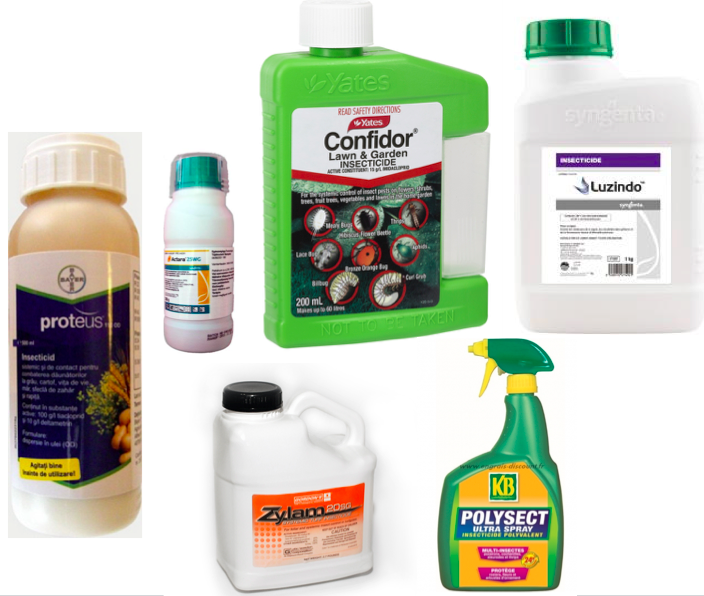 We are talking about toxic products which are considered to cause death, cancer and birth defects. Products which can be passed on from mother to child, which stay in our bodies for ever, which build up and develop in all of our cells. Why doesn’t France take the same decision? In 2013, El Salvador also voted to ban 53 plant protection products for agricultural use, including Monsanto’s star weedkiller, recently classified as a “probable carcinogen” by the World Health Organisation (WHO). Must we wait for all these products to be classed as “probable carcinogens”? I couldn’t, in good conscience, write about this subject without asking the Ministry of Agriculture and the Ministry of Ecology and Sustainable Development for their version of events. 1 – On March 19, 2015, France passed a law banning all neonicotinoids. The law will enter into force in 2016. How will it change the air we breathe and the water we drink? When will the law actually enter into force? Will it apply only to businesses, or to private individuals too? 2 – How do you explain the fact that Monsanto is still in business given, for example, what we know happened in Anniston with PCB? 3 – What is the Ecophyto 2018 plan? 4 – Why has pesticide use in France risen since 2008? (2013 figures show a rise of over 9% for the year. Are we using up existing stocks?). 5 – What environmental labels does France endorse? Why do we not insist that all products on sale carry these labels? _ Well, in the little pots, there are almost none. What? “Well, in the little pots, there are almost none!”? Since when has that been something to be proud of? There are traces of pesticides in small pots of fruits and vegetables, and we are being told that that is a good thing! I think back to what Jean-Jacques told me earlier about the difference between “trace = insignificant amount” and “trace = worrying amount” and I can’t help thinking that, whatever happens, we are paying too high price, particularly when those traces, albeit insignificant, find their way into the food eaten by our children. In fact, there are traces of pesticides in EVERYTHING we eat. Nothing escapes them, and unfortunately it is highly likely that even products that claim to be organic or untreated could contain the residue of our mistakes, as Alexis and Maylis explained earlier. Is that a reason to accept the status quo, to stand by and say nothing, demand nothing, out of laziness, fatalism or blithe lack of concern? Well, what if that was the solution? Not eating anything that we cannot trace and understand? Not buying anything dubious. Even if it’s convenient. Even if it tastes good. It’s a question of habit. We would have to rethink our whole approach. La Nuit du Miel, organised by La Fondation Cartier as part of its “Nights of Uncertainty” series. Watch the conference in its entirety on YouTube.